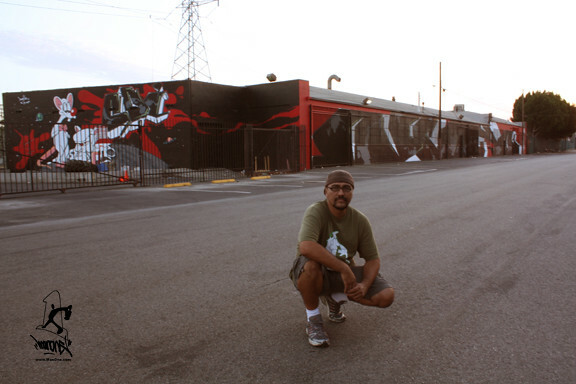 I painted this 200 foot long mural in East LA last month. It was sponsored by DickiesGirl on one of their buildings and I was given pretty open range to create. I decided to create a giant MAN piece across the front with Pinky and the Brain characters standing off to one side. On the parking lot side is the second much smaller mural of about 15' x 45' with a similar theme but this time Pinky and the Brain are on the moon, "Continuing Our Invasion".